Information on the La Fraugh name itself is scarse, while the Basque information is abundant. Unfortunately, due to lack of records documenting the name and heritage, it was not possible to equal what Basque content there is, and much material had to be compiled to make the information complete. My hopes are to change this by technology. Hopefully, in time, the name will regain its identity again. From the best records available, the origin of the La Fraugh name more than likely originated from the Lapurdi Province of the Basque Country (Pays Basque). 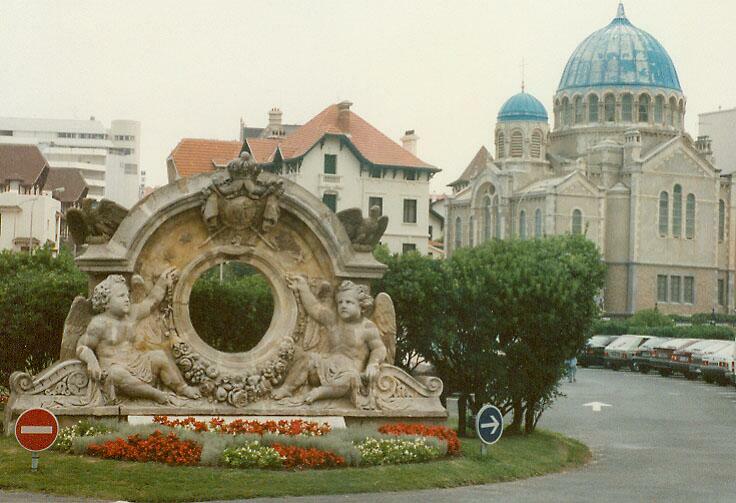 Apparently, the region's development and suffering forced much of the family to migrate south to the heart of today's modern Basque Country in an area called San Sebastian. There, closer to the Bay of Biscayne, they made a new settlement around the 1500's. This province is called Gipuzkoa. A warmer climate, they probably developed their new taste in cooking, as fishing was a much bigger part of the western-coastal inhabitants. (Data as of 3/99): Approximately 280 people that have recorded to have the last name La Fraugh living in San Sebastian related dating back approximately 500 years. The name La Fraugh shows that the name was adapted in the 1400's from a previous more Basque root name Fraugk or Fragk. However, the Spanish influences had added the "La". Nearly every family name that begins with 'De, La, Du, Le, or Di has a past ancestry to royalty. The emigration of the La Fraugh ancestry began to take appearance in the 1600-1700's *. Many disputes for land and wars were occurring, and the Basque country had declined to half of its size in just a matter of eighty years. Napoleon had devastated many of its' northern territories, and French colonists had taken root in their new found rich soils. Shortly thereafter, Magellan had done significant ruthless damage to the south, during his reign. Many people were killed, and much was lost in the eyes of Basque pride. From the 1900's the name had several adaptation variants (likely due to poor record keeping). This is important to know, as there may be people with these name that have lost their identities. Due to poor record keeping and lost records, some dates cannot be definitely determined.